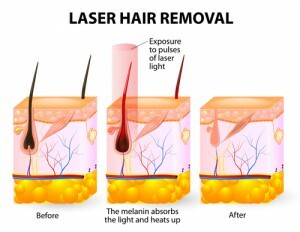 Laser hair removal was one of the top nonsurgical cosmetic treatments performed in the United States last year. Millions of clients receive this treatment each year in order to rid unwanted hair. In 1998, the FDA approved cosmetic laser technology for hair reduction treatments. But if it’s not magic, then what are the processes of this treatment that results in smooth, hair-free skin? In order to understand laser hair removal, we must understand skin types. Cosmetic laser technicians learn the Fitzpatrick scale when they are undergoing laser certification. The Fitzpatrick scale is a way of classifying skin types in order to determine which laser treatment is best for certain clients. 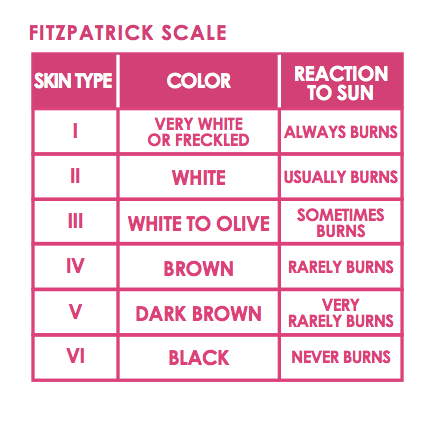 Skin types in the Fitzpatrick scale are classified 1 – 6, ranging from its degree of melanin and its sensitivity to sunlight. Understanding the Fitzpatrick scale is the most crucial thing you need to know in order to provide safe services to your clients. The second most important contributor to laser hair removal is the laser part, of course. Laser stands for Light Amplification by a Stimulated Emission of Radiation. Although “radiation” has multiple terminologies, laser radiation is different from x-rays, gamma rays, or other ionizing rays. Even though there are many different types of lasers, all lasers are composed of the laser medium, optical cavity, power supply, and delivery system. 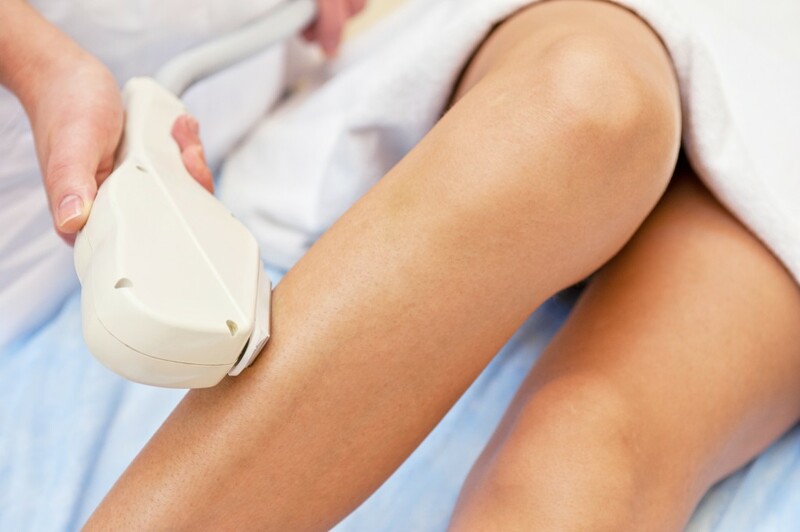 Another vital piece to understanding laser hair removal is understanding light and wavelength involved in the process. Light is composed of radiant energy that is includes of waves and energy. The distance between the crests of the waves determines wavelength. Shorter wavelengths have higher frequencies and longer wavelengths have lower frequencies. 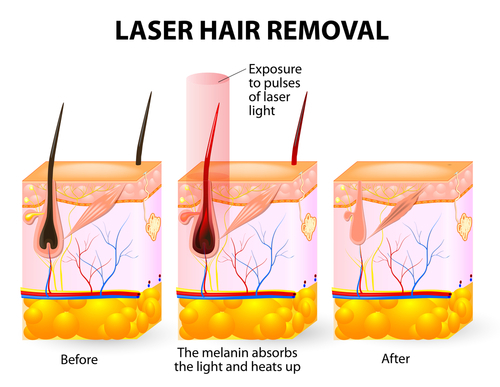 There is much more laser biophysics involved with understanding lasers, but here is the basic process of cosmetic laser hair removal: the laser targets the hair follicle’s pigment. The laser technician will use the appropriate laser settings based on the client’s skin type (Fitzpatrick scale). When the best settings are selected, the laser’s energy targets the hair follicle and damages it in order to prevent it from regrowth. This only destroys the follicle, leaving the skin undamaged. One treatment of laser hair removal is not enough to see significant hair reduction. Why? Your hair grows in a total of three cycles. 1. Anagen (growth) 2. Catagen (regression) 3. Telogen (dormant). It is important to receive laser hair removal treatments during each growth cycle in order to eliminate as much unwanted hair as possible. This is why treatments are typically spaced out between a period of 4 – 6 weeks. When a client is consistent in receiving treatments during the regrowth period, they will tend to see less and less hair regrowth. Cosmetic laser technicians are those trained in cosmetic laser technology and are capable of performing treatments like laser hair removal. In most states, you can become a cosmetic laser technician if you have earned your high school diploma or GED. Laser training schools like National Laser Institute offer hands-on comprehensive laser training courses for those who want to become cosmetic laser technicians. During a two-week period, attendees learn everything from laser safety, laser biophysics, skin classification, energy and wavelengths, as well as perfecting proper laser administration techniques through hands-on training with clients. As the leading cosmetic laser school in the nation, National Laser Institute has trained countless attendees over the last decade. If you would like to start offering clients treatments like laser hair removal, consider cosmetic laser training with National Laser Institute. To learn more, simply call 1-800-982-6817 or fill out our form on the right.